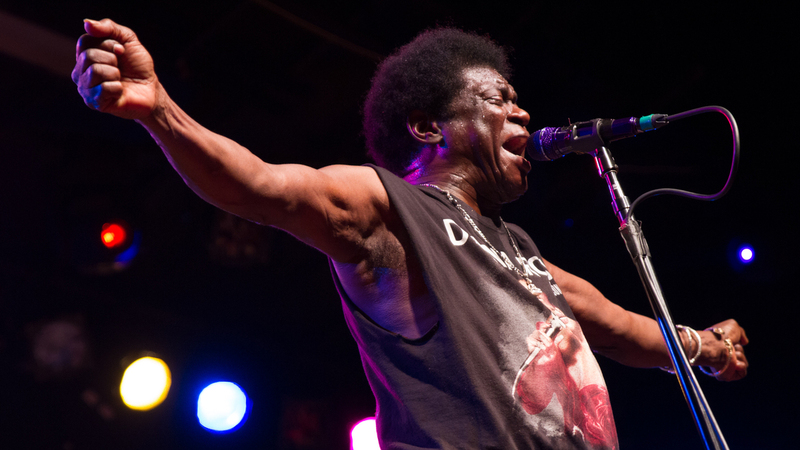 Watch Charles Bradley, Strand Of Oaks, Foxygen And More Perform Live : World Cafe The Screaming Eagle of Soul caps off day two at the XPoNential Music Festival. Charles Bradley performs live from XPoNential Music Festival on Saturday July 29 at 6:35 p.m. ET. Beginning at noon ET on Saturday, July 29, you can watch Charles Bradley & His Extraordinaires, Strand Of Oaks, Rhiannon Giddens, The Suffers, Foxygen, Xenia Rubinos and more perform live form day two WXPN's 2017 XPoNential Music Festival. The show will stream live via VuHaus from the Camden Waterfront, just across the river from Philly. Below you'll find the schedule. All times subject to change.